"Carie is my body's most stalwart advocate. After years of suffering from sciatica and acute tendonitis, I discovered Carie through word of mouth at work. She's the difference between me working in pain and being able to work pain-free. Carie is an unwavering beam of white light, shining down into the deep, dark tunnel of health care, for us to flutter to, if we're lucky enough to find her. She puts the "care" back into health care. She's one of the most intuitive, capable massage therapists I've ever been to. Her comprehensive skills and modalities go far, far beyond the trend of modern "feel good" massage: she is the real deal, and she never stops learning about bodies and new techniques to give her a more comprehensive box of tools to treat those who come to her with diverse, varying needs. Her trigger point accuracy is spot on. Her deep tissue techniques are the only thing I know of that give my arms and tendons relief that lasts. Carie encourages my brain to listen to what my body is telling it. Encouraging and open, she genuinely wants us to be our best. I come back to her again and again, because for my needs, there's just no one better. Most times, I don't need to tell her what hurts, or where my problem areas are: her hands just go there, and she finds knots and gets rid of them. She can tell when something is off, and she knows exactly how to fix it. I cannot tell you how lucky I feel to have found such a capable, exceptional person to be "my" massage therapist. There just isn't anyone I'd rather have working on me. She is a samurai among massage therapists. I have been coming to Carie for four years. I wouldn't trade her for free hot tubs for the rest of my life." Secondwind Healing Arts is located at Russel St and MLK, in NE Portland. "Carie is highly skilled, authentic, and well intended in the art of body work. To me she represents the new breed of health practitioners. People who listen, support and co-create with their clients while honoring the individual’s natural intuition and ability to self heal. Remarkably intuitive and grounded in her own right, Carie frequently reiterated, during our session, that all true health, balance and clarity comes from the inside. Her job is to remind us of that." "I felt broken but now I am renewed!" 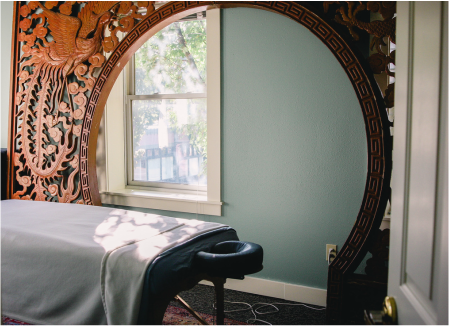 "If you're looking for the most amazing massage in Portland, Oregon look no further than Carie Arps. She not only gets my 100% endorsement but also both of my parents."